Jack’D Up - The Most Intense Pre Workout Powder Ever Created! Grab this Ultimate Pre Workout here at Discount Sport Nutrition, DSN, SportSupplements.com online. Jack'd Up is a Hi-Tech winner! Suggested Use: Stir 3 scoops with 4-8 ounces of cold water 30-45 minutes before beginning activity. Due to extreme potency, it is recommended to assess tolerance by using a 1.5 scoop serving before comsuming a full dose - especially if you are sensitive to stimulants. Some individuals might find that 1, 1.5 or 2 scoops may be their idea dose for extremely intense workouts. DO NOT EXCEED 3 SCOOPS IN ANY 24 HOUR PERIOD. 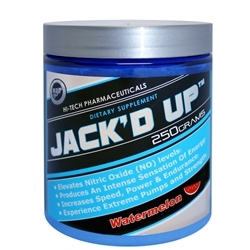 Jack’D Up Elevates Nitric Oxide (NO) levels for Extreme Muscle Pumps! Jack'D Up is Formulated with DMAA-Elevates Nitric Oxide! Jack’D Up is the Ultimate Pre-Workout formula and can be compared to a new and improved version of the original Jack 3D by USP Labs. USP Labs as most people know reformulated their product due to pressure from the FDA. 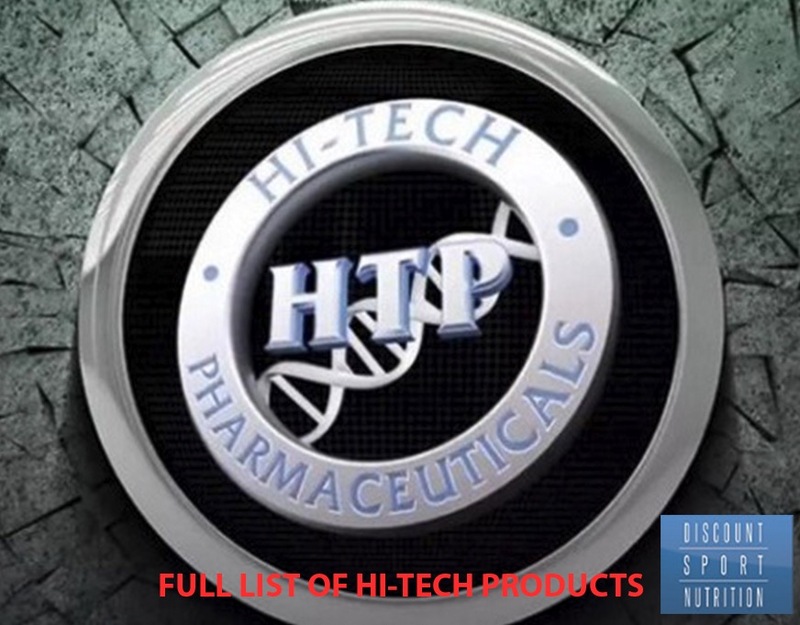 Hi-Tech has created a similar product, but Hi-Tech improved upon their original formula in a few ways. There’s nothing like the right combination of compounds taken pre-workout to deliver consistently mind-blowing workouts to help you achieve your goals. After all, if your workouts are lacking, you can all but forget about making the type of progress you are looking for anytime soon. Hi-Tech Pharmaceuticals Jack’D Up™ gives you all the aggression you desire and ability to lift more weight, pump out more reps and have incredible and long-lasting energy, along with enormous muscle-engorging pumps. Jack’D Up™ is the most intense pre-workout product you will ever want to use again. The amount of energy and focus is perfect, pumps and vascularity are out of this world, but most importantly you will feel great throughout your entire workout. No crash, no bloat, no headaches, no disappointing workouts. You will immediately feel an intense sensation of energy to help you beast through your workouts. This Product is known to boost Nitric Oxide Levels which promote muscle pumps and vascularity. This advanced pre-workout blend contains 4 different forms of creatine to aid in muscle growth and muscle fullness.... Creatine Nitrate, Creatine HCL, Disodium Creatine Phosphate, and Creatine Monohydrate are the most POTENT combination of creatine series compounds you will have ever taken! Take your gains and lifts to another planet and get Jack'D with Jack'D Up™ by Hi-Tech Pharmaceuticals. JACK'D UP four delicious flavors: POUNDING PUNCH, GRAPE, PINEAPPLE, AND WATERMELON. These statements have not been evaluated by the Food and Drug Administration. This product is not intended to diagnose, treat, cure, or prevent any disease. This product should not be used in place of or as a substitute for recommendations by your healthcare professional. No clinical study has been done on Jack’D Up™. These statements are specifically based on the active ingredients: L-Arginine Alpha-Ketoglutarate, Creatine Nitrate, Creatine HCl, Disodium Creatine Phosphate, Creatine Monohydrate, Beta Alanine, Caffeine, 1,3 Dimethylamylamine HCl, Schisandra Chinensis (Berry) Extract, Agmatine Sulphate). *This product is not manufactured or distributed by U.S.P. Labs.